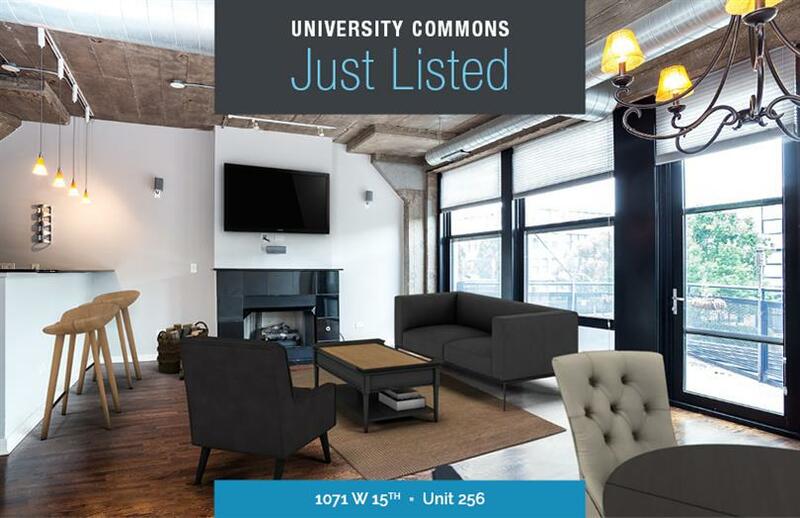 Extra wide north facing unit in University Commons. One of the largest floor plans in the complex, with an additional built-in office space and custom cabinetry. The kitchen has stainless steel appliances, a custom backsplash, granite countertops, and a peninsula that offers great workspace for prep and entertaining. Dark oak flooring throughout the living areas, a master suite with a private marble bath and an organized walk-in closet, a fireplace, spacious balcony and washer & dryer in-unit. Great amenities with pool, gym, roof deck and party room. Additional storage locker and garage parking included.